Peacock beads are made with metallic spots that resemble the eyes in a peacock feather. These are black and silver and they reflect whatever color you wear them with. 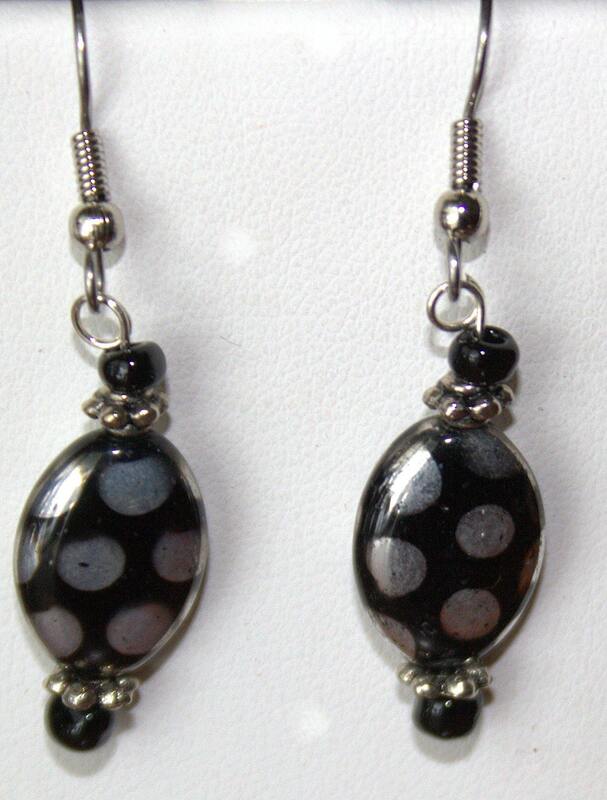 They have Bali silver bumpy bead spacers and black seed bead accents and hang from silver non-allergenic French Ear wires. They hang @ 1 1/2 " from the ear.